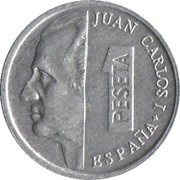 The portrait of Juan Carlos I on the left side and the facial value and the legend on the right side. 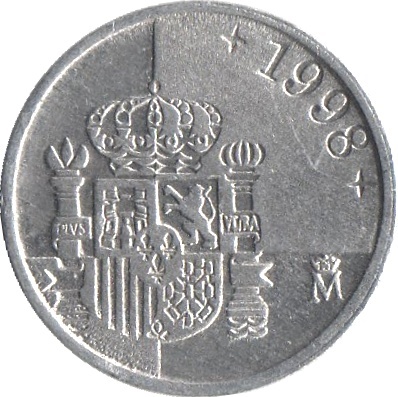 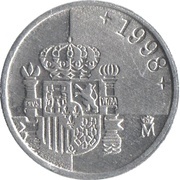 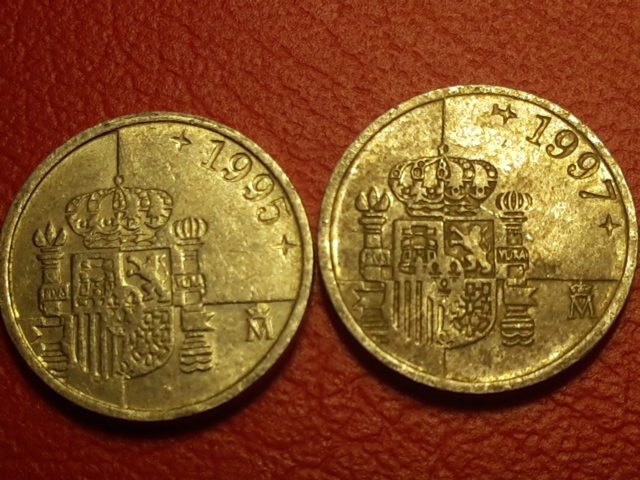 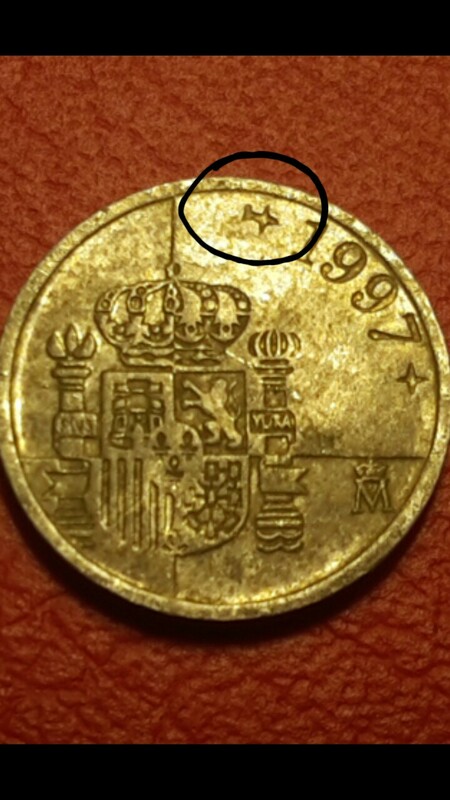 1997 coin, plus or X different. 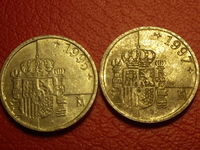 Can be a different variant.